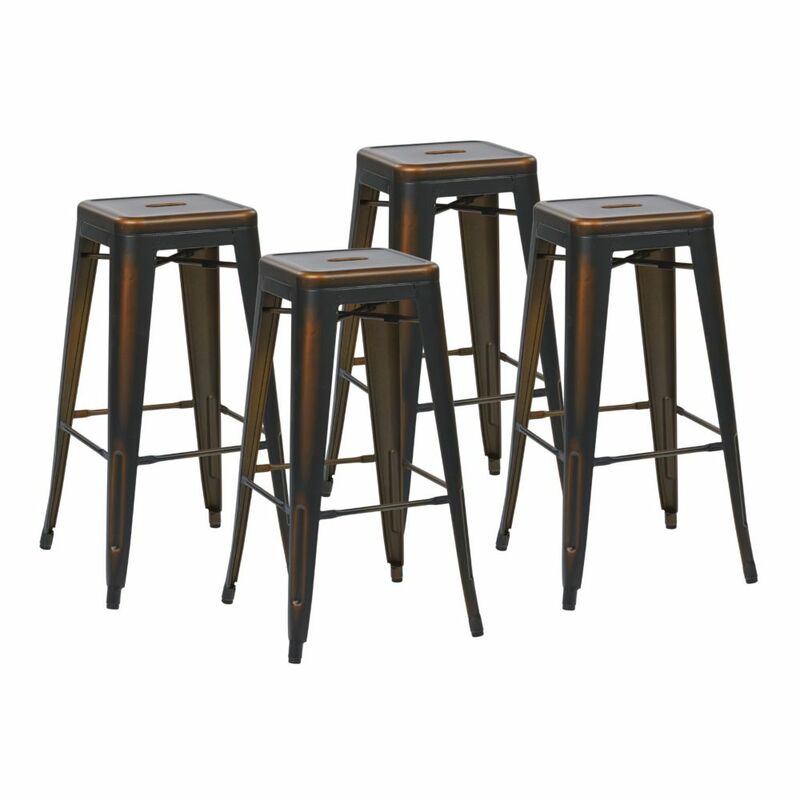 Beautiful in style and durable by design, this OSP Designs backless bar stool is sure to blend perfectly into your kitchen or dining area. Crafted in a industrial style, it's sure to be a great fit for a variety of room decors. Styled with a modern copper coloured base frame, it fits seamlessly into many trendy decors. Adyson Metal Contemporary Full Back Armless Bar Stool with Black Polyester Seat - (Set of 2) Beautiful in style and durable by design, this OSP Designs backless bar stool is sure to blend perfectly into your kitchen or dining area. Crafted in a industrial style, it's sure to be a great fit for a variety of room decors. Styled with a modern copper coloured base frame, it fits seamlessly into many trendy decors.